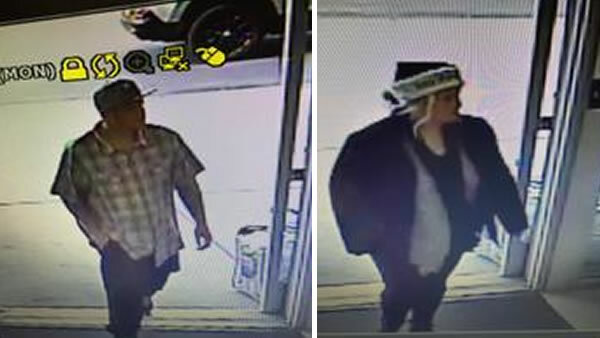 PETALUMA, Calif. -- Police are searching for a man and woman who stole luggage from a Petaluma store on Monday afternoon. The home goods store, Tuesday Morning, is located at 1355 North McDowell Blvd. A shop employee tried to stop the thieves, but after a brief struggle over the luggage, the suspects drove off with the merchandise in a dark SUV with yellow paper license plates, police said. The man and woman were both described as white, with dark hair and in their 30s. The man is about 6 feet tall and 200 pounds with short hair. The woman is about 5 foot 4 and 160 pounds, police said. Anyone with information about this incident has been asked to call Petaluma police Officer Howard at (707) 778-4372.